A 2014 Chevrolet Silverado LT pickup truck retrofitted to look like a 1970s Cheyenne Super 10 is turning heads in Minnesota and beyond. 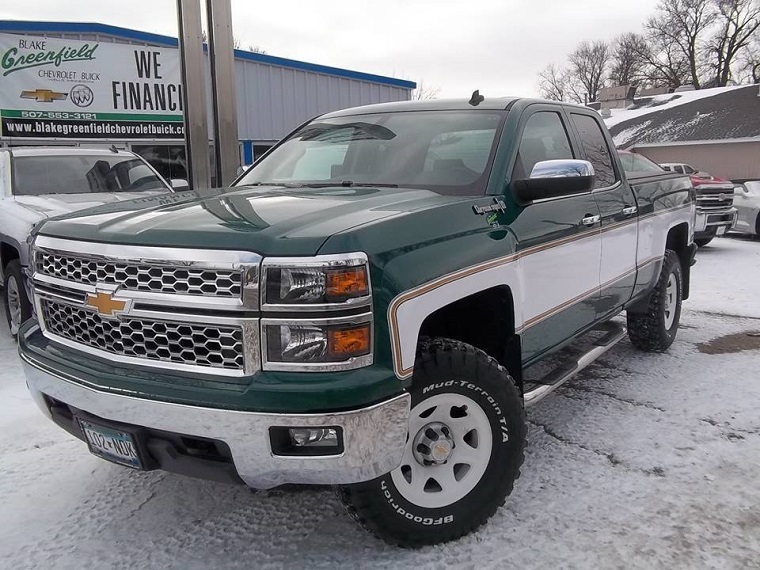 It all started last year when Blake Greenfield Chevrolet Buick received a Woodland Green-painted Silverado. Dealership owner Blake Greenfield liked the throwback effect of the color and decided to add even more retro touches to make it look like a classic Chevy Cheyenne Super 10 pickup. 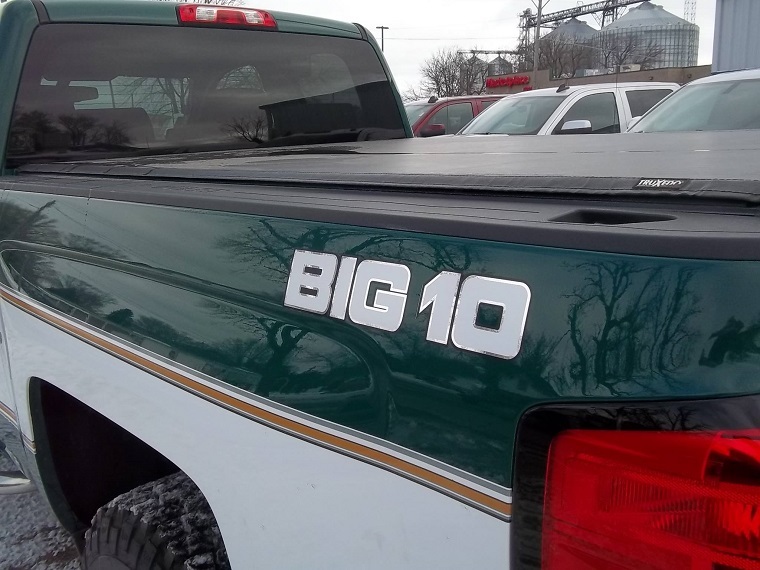 Greenfield and his staff added a two-tone green-and-white paint job, decals, metal Cheyenne badges, and Big 10 logos. They also raised the suspension and added white steel wheels with white-lettered tires. The result? Greenfield took advantage of the flood of interest, offering dealer-installed pickup retrofit packages for $5,995. Not only are these packages available for new vehicles sold by the dealership, but drivers can also bring in GM trucks they already own (if they’re from 2014 or newer) to have them refitted. So far, Greenfield has already installed several of the custom packages, including black-and-white and blue-and-silver jobs. And the dealership followed up its green-and-white throwback project by converting a 2017 double-cab Silverado to a retro red-and-white color scheme.